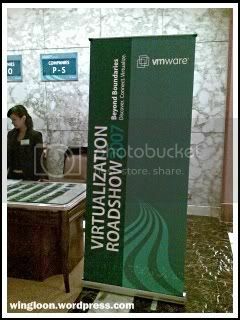 Today, I attended the VMware Virtualization Roadshow 2007 Asia Pacific events in Kuala Lumpur, Malaysia. It was held in Shangri La Kuala Lumpur. This is a half day event.